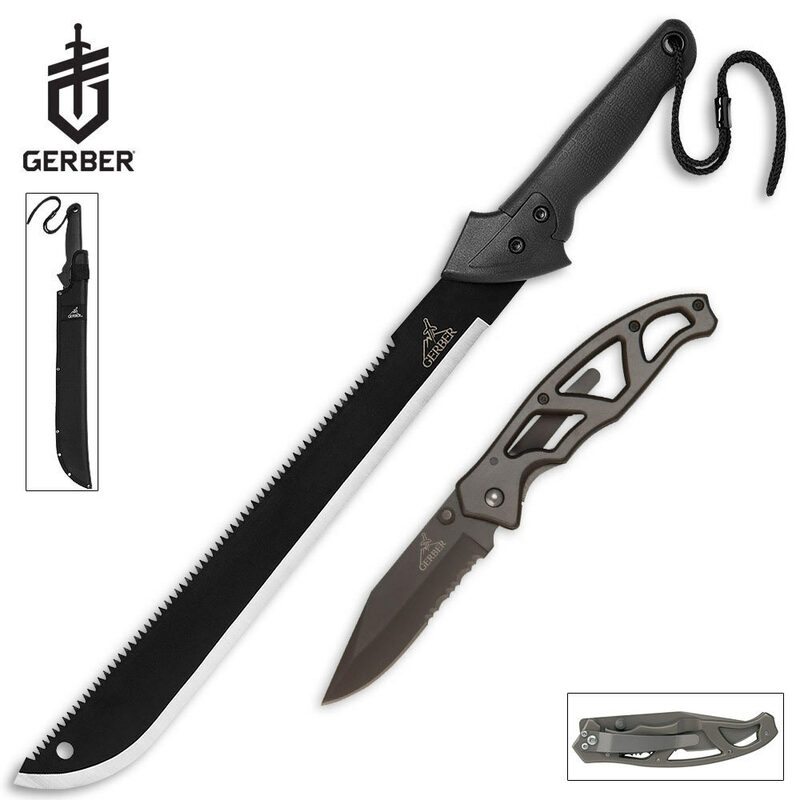 Gerber Knives Zombie Apocalypse Preparation Machete & Knife Combo | BUDK.com - Knives & Swords At The Lowest Prices! One exclusive combo at an unbeatable price, only at BUDK! Preparation is key, whether you are navigating the apocalypse or the deepest part of the jungle. With this tough Gerber combo, you will be well prepared for both.